As part of NCC’s commitment to making the most of the county’s rich heritage, we showcased their brand new heritage portal – a dedicated website which brings together articles, news and events relating to the Northamptonshire’s fascinating past. 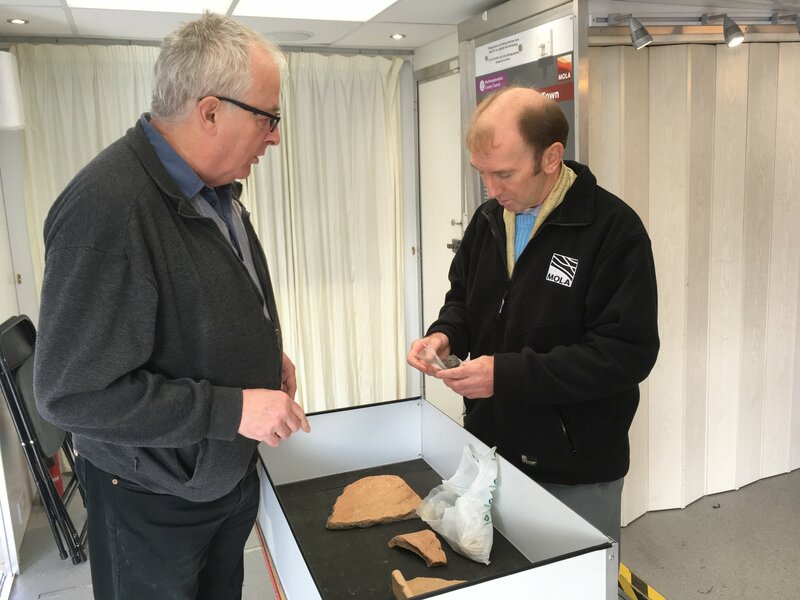 The Time Truck is a multifunctional vehicle with a wonderfully versatile exhibition space, which meant that we were able to host a different exhibition every day, featuring archaeological discoveries from each local area. The recent excavation at Angel Street were displayed in Northampton’s Market Square, where people were invited to hop aboard and try to identify our mystery object. 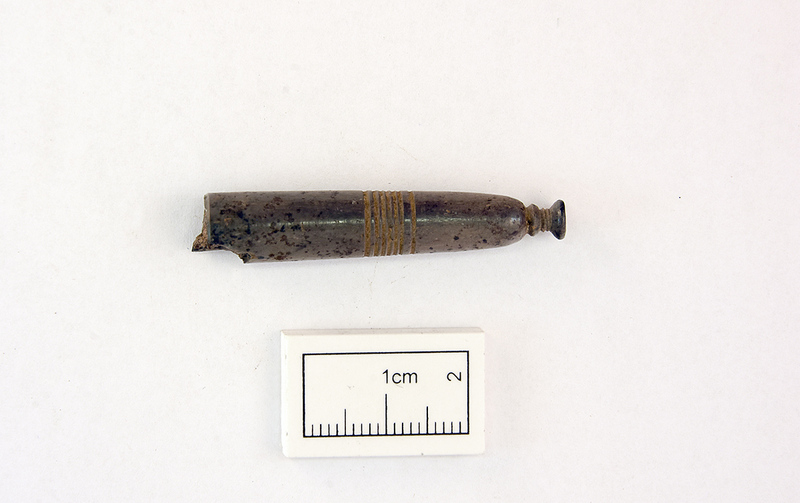 Members of the public thought it was anything from a fork handle to an old pen lid but we believe it may actually be a bone lace bobbin! In Wellingborough Market Place we displayed information on the fieldwork and geophysics at Victoria Park and the Roman remains at Irchester. Finally, in Kettering Market Place we showcased our excavations at Barton Seagrave which featured a Saxon comb as the ‘Archaeologist’s Pick’ of the site. 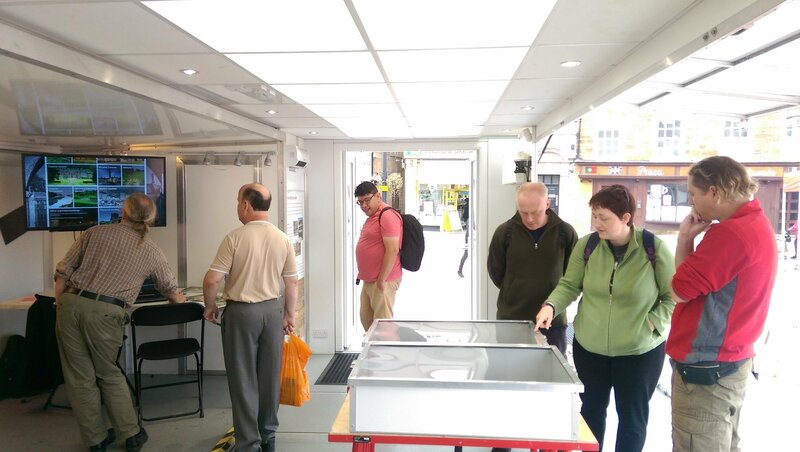 The Time Truck tour was a wonderful opportunity to take archaeology out to the people, into the town centres and to show people what has been found in their local area. We had an ‘Ask the Archaeologist’ drop-in session each day, so people could bring in objects for identification. This was a fun challenge as we got to see some very unusual finds! Many thanks to Northamptonshire County Council for making the tour happen and to the people of Northamptonshire for coming along to see us. We hope to be back with the Time Truck again soon! In the meantime, why not check out our latest book on Northamptonshire ‘Spanning the centuries: the historic bridges of Northamptonshire’. Thanks to all of the Time Truck sponsors Brookfield and Oxford, Stanhope, Cain International, Thames Water, Galliard Homes, TP Bennett, The Garfield Weston Foundation, Wates Giving and the Heritage Lottery Fund.